Want to be a dragon slayer? 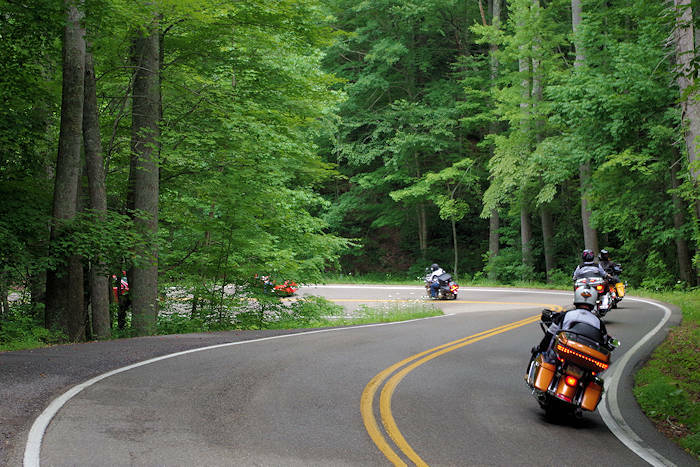 Conquer the 318 curves in 11 miles on the Dragon, a section of U.S. Highway 129 that starts near Robbinsville and Fontana Dam. It follows the southwest boundary of the Great Smoky Mountains National Park, so there are no intersecting roads or drives to interfer. 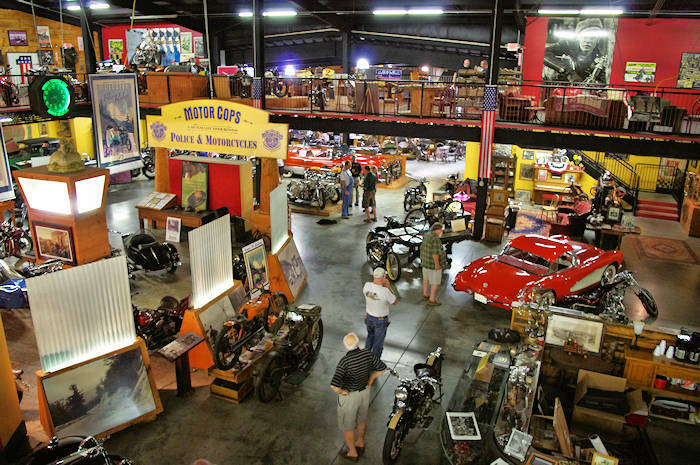 This scenic drive attracts motorcyclists and sports car drivers from around the county. 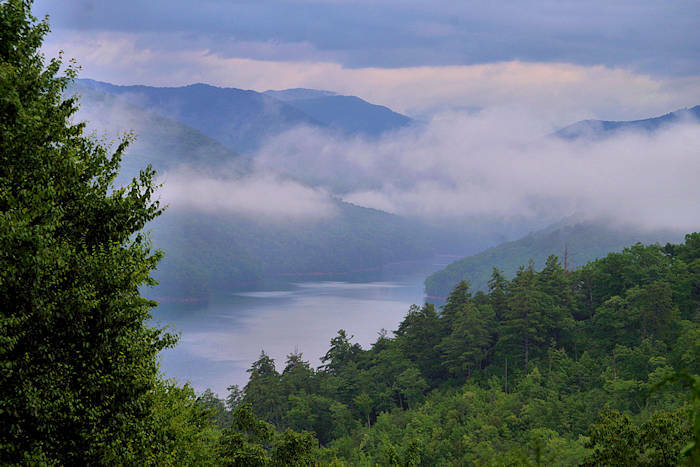 It's about 90 miles west of Asheville, connected to the Indian Lakes Scenic Byway. 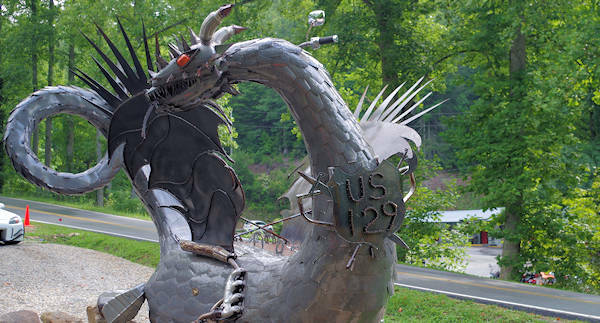 The Dragon (also known as The Tail of the Dragon) begins in North Carolina at the intersection of NC 28 and US 129 and ends at the Tabcat Creek Bridge in Tennessee. The twisting road through the dense forest has several pull-offs to stop and watch the riders. 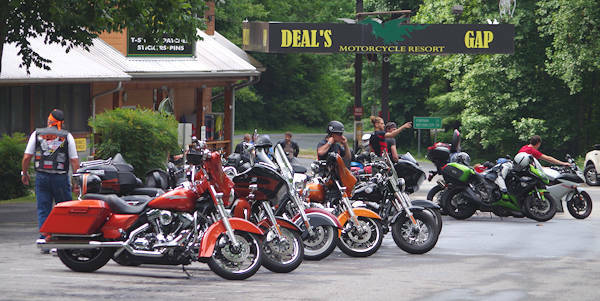 At the starting line, find two favorite hang-outs for motorcyclists, Deal's Gap Motorcycle Resort and The Tail of the Dragon, with gas, food and lodging. Since there are no intersecting roads on this stretch. Many of the curves have names such as Copperhead Corner, Pearly Gates, Hog Pen Bend, Wheelie Hell, Shade Tree Corner, Mud Corner, Sunset Corner, Gravity Cavity, and Brake or Bust Bend. Officially, the road name is "Tapoco Road" in North Carolina and "Calderwood Highway" in Tennessee. The dragon claims many reckless victims each year. See the "Tree of Shame" at Deal's Resort with parts of many wrecked motorcycles. The speed limit is 30 MPH, so it's a fun drive, not a race. 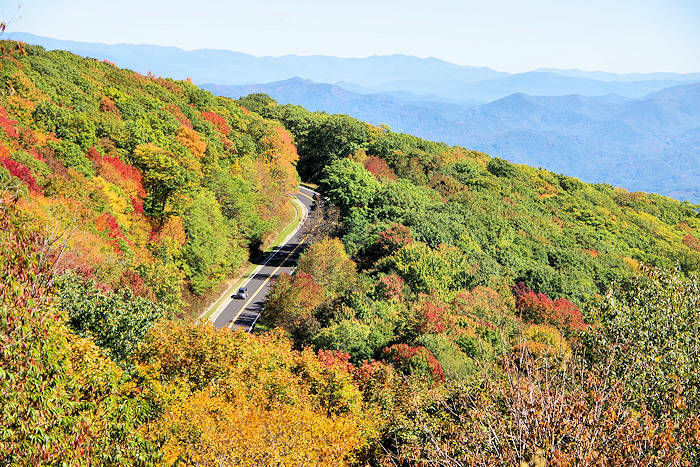 Nearby, the Cherohala Skyway and the Indian Lakes Scenic Byway offer more curves. 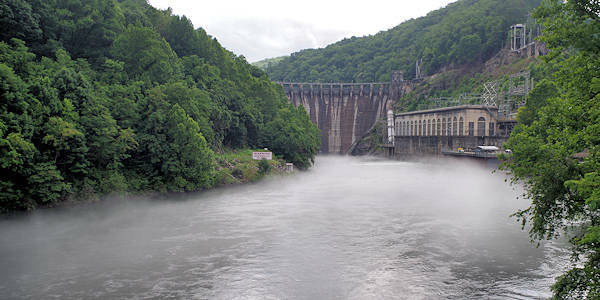 Continue two miles south on US 129 to see the 225-foot tall Cheoah Dam, completed in 1919 and now listing on the National Register of Historic Places. It's also called the "Fugitive Dam" since Harrison Ford jumped from the top in the 1993 movie The Fugitive, running from Tommy Lee Jones. While the dam is not open to visitors, enjoy the view a little downstream from the highway bridge with parking on one end and room to safely walk across the bridge.